The Walter Hoving Home in Las Vegas will be throwing their annual Gala to raise money for their cause. Glen Lerner will be a guest speaker at the event. LAS VEGAS, NV, UNITED STATES, September 14, 2018 /EINPresswire.com/ -- Glen Lerner, founder of Glen Lerner Injury Attorneys, will be the keynote speaker at Walter Hoving Home in Las Vegas’ fundraising Gala on October 11th at the J.W. Marriot from 6 p.m. to 9 p.m. This annual event is not only a means to help raise funds and awareness for the many supportive programs Hoving Home offers, but also serves as a venue to foster fellowship between the women at the Home and key members of the community. After touring the grounds of the Hoving Home, Glen Lerner and his outreach team discovered first-hand the many positives of the organization. For instance, the Hoving Home is a residential spiritually-based home, non-profit organization that serves women ages 18 and over who have been involved in drug addiction, alcoholism, prostitution and other life-controlling problems. Additionally, women that enter the Home find a safe place to live as well as the opportunity to take part in 6- or 12-month programs geared at helping them rebuild their lives in an atmosphere of warmth, trust, support and love. By teaming up with the Hoving Home, the Las Vegas based law firm hopes to spread the word about the Gala. As a major fundraising event, money gained from the annual Gala will help offset costs associated with maintaining the many life-altering programs and supportive services offered. “As a Christ-Based organization, Glen Lerner Gives Back reaches out to the alienated, orphaned, widowed and oppressed. We’ve seen no greater blessing than to be able to join up with the Walter Homing House to be able to help women that have had their lives turned upside down,” said Glen Lerner. “I am honored to be chosen as the keynote speaker for this annual Gala that directly contributes to the betterment of the Las Vegas community.” Glen Lerner’s personal invite to the Gala may be viewed online at https://youtu.be/LA3puxSBGFQ. Tickets for the gala start at $95 (early bird pricing ends 9/30) and may be purchased at hovinghome.org/events/las-vegas-annual-gala/. Please email whhlv@hovinghome.org or call 702-386-1965 for more details regarding the Walter Hoving Home annual Gala. Walter Hoving Home has four homes for women located in CA, NY, NJ and Las Vegas, Nevada. Since opening in 1967 the Hoving Home has impacted the lives of 23,216 women. Interested in learning more about the different programs offered and volunteer opportunities at the Walter Hoving Home in Las Vegas? Please call 702-386-1965, or visit the non-profits website at hovinghome.org. The law firm’s efforts through Glen Lerner Gives Back assist at-risk children, families and four-legged critters who face daily struggles during these hard times. Glen Lerner understands what it means to have humble surroundings and he founded Glen Lerner Gives Back as a way to ensure that those struggling have a helping hand. 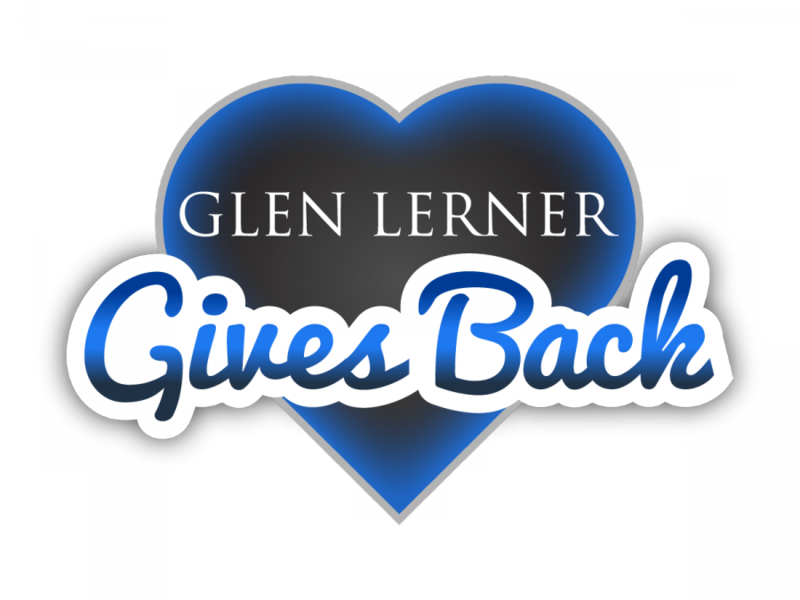 For more information about how Glen Lerner Gives Back helps the Las Vegas community, visit glenlerner.com/community/. You can also follow the law firm on Twitter and like their page on Facebook.